When news spread about the OSCAAR Hot Rod Series, Adam Misener was one of the first drivers to commit to running the full campaign. Kicking off the inaugural season at Kawartha Speedway, he placed third in both qualifying heats, before putting together an impressive runner-up in the feature. He carried the momentum with him to Flamboro Speedway, out-battling Tyler Hawn to score his first career series victory. Returning back to Kawartha in July, he was once again solid with a fourth and third in his heats, backed up by a third-place finish in the main event. Unfortunately, his season hit a snag when the series made their second appearance at Flamboro Speedway. During the first practice, he suffered a mechanical failure, resulting in him failing to make the event later on that night. 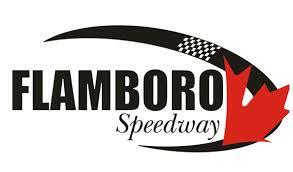 He was able to complete the year on a high, though, leading laps in the first of the two Velocity 250 weekend features at Sunset Speedway en route to a third-place finish. He backed it up with a fourth in the second event. With consistency all season long, Adam Misener proved he is going to be a threat for the victory no matter what track the series heads to in 2018, and could become the second champion. On behalf of OSCAAR, congratulations to Adam Misener on your success, and thank you for supporting the class from day one. We look forward to seeing you in 2018.